Let’s face it — aging can be frustrating. Our bodies are not as toned as we’d like, and our sight may not be as keen as it once was. But when we start to notice our mind slipping a bit, it can become very concerning. Have you ever found yourself forgetting to take care of simple tasks, the name of somebody you haven’t seen in a few months, or do you just feel you are not able to focus on multiple things at once like you used to? Are you losing your keys? Remote? Purse? Or even your cell phone, when you “just had it?” These symptoms make people feel frustrated — just like not finding items in the “find the hidden objects” games in the popular Highlights™ magazine when we were kids (see if you can find these items in the hidden picture by clicking here). Many physicians who specialize in natural medicine call this “brain fog” because, though not a technical diagnosis, it is a very good descriptor of what many feel is going on inside their brain. Clinically, this condition is often called mild cognitive decline. As the brain ages, people tend to become more forgetful and less able to focus on fine details. Although common, it should not be mistaken as inevitable or a necessary part of aging. Nor should it be mistaken for the dreaded Alzheimer’s disease. Curcumin, a popular natural ingredient found in curry, is being suggested to support memory function and may reduce cognitive decline. Why does the mind lose its sharpness? Although there can be a number of reasons for a decline in memory and attention, many researchers believe that the majority of cases stem from a small number of causes. One of the most common reasons suggested is damage to the cellular structure through a process called oxidation. This process can create a toxic effect to the cell by damaging the cellular wall and altering the cell’s DNA structure. As a scientific article published in the journal Frontiers in Neuroscience explains, “the brain suffers from a decline in its antioxidant defense mechanisms as it ages and it becomes more vulnerable to the negative effects of oxidative damage.” The effects of such damage can range from mild cognitive impairment (like forgetting where you left your keys) to more serious conditions. Another suspected cause of cognitive decline is chronic inflammation in the brain. A scientific article from the Journal of Neuroscience Nursing notes how “accumulating evidence has linked inflammation to cognitive decline and risk of dementia.” The researchers explain how as the brain gets older, it begins to lose its ability to maintain a healthy balance between anti- and pro-inflammatory proteins. This can lead to the degradation of key brain cells in areas that affect memory, attention, and perception. See also my past article on chronic inflammation here. Researchers also believe the formation of plaques plays a role in memory loss. These plaques form inside the brain when protein pieces clump together that can block cell-to-cell signaling at nerve cell junctions. This process can stimulate the immune system to attack the plaques — triggering inflammation and harming the nerve cell junction. Plaques have a tendency to spread predictably through the brain’s cortex in people with dementia. When these plaques are present in parts of the brain that are important for memory, planning, and thinking, it can lead to memory problems and possibly even Alzheimer’s disease. Curcumin, which is the principal component of the curry spice turmeric (and is a staple in Indian cooking), gives foods like curry and mustard their yellow coloring. Scientists are just now discovering the power and potential of curcumin, but ancient civilizations cultivated turmeric as far back as 3000 B.C. Although the exact mechanism behind its brain health effects is unclear at this point, many believe it is due to its anti-inflammatory and anti-oxidant benefits. What does science say about curcumin? Scientists are really just beginning to learn how curcumin affects the human brain. The early research shows curcumin’s potential to reduce oxidation and cellular inflammation within the brain. While just one substance is rarely the answer to a complex issue like cognitive decline, the available research with curcumin and brain function is quite promising and exciting. Even though this is exciting news, most researchers of curcumin recommend further large-scale studies to confirm their findings, but admit that (because curcumin lacks adequate patent protection) there is little push for development and research in the private sector. An 18 month-long, double-blind, placebo-controlled study, published in the American Journal of Geriatric Psychiatry, took 40 non-demented adults (age 51-84 years of age) and randomly placed half of the individuals on a bioavailable form of curcumin (Theracurmin®) containing 90 mg twice a day and the other half was given a placebo. Standardized cognitive assessments were administered at the start of the study and at six-month intervals. Those who received the curcumin noted significant improvements in their memory and attention. Researchers also performed PET scans of the brain pre- and post-treatment and reported significant decreases in harmful plaque accumulation in brain regions affecting mood and memory for those who were on curcumin. This substantial reduction in plaque formation caused the researchers to speculate that curcumin’s cognitive benefits may stem either from its anti-inflammatory or anti-plaque effects. The researchers of a study from the Journal of Neuropathology & Experimental Neurology observed that increased oxidative damage is an early event in Alzheimer’s disease. However, it is still controversial whether oxidative stress plays an early role in the cause of the disease, or alternatively, is secondary after getting the disease. If oxidative damage is indeed a contributor, it would be imperative for people who are starting to notice mild cognitive decline to begin taking substances that are believed to be anti-oxidants and are anti-inflammatory — like curcumin. Are there any other treatments worth trying? Drugs to treat memory and attention problems, which are often intended to treat disorders like Alzheimer’s disease, can work for some people with more severe cases of cognitive decline. The FDA has approved two types of drugs (cholinesterase inhibitors and memantine) to treat the memory loss symptoms of Alzheimer’s. However, these drugs only help to lessen the symptoms and are unable to stop or cure the progression of cognitive decline. They also come with some highly unpleasant side effects like diarrhea, vomiting, fatigue, insomnia, and loss of appetite — whereas curcumin has been found to be a very safe, tolerable natural supplement. As suggested by a study from American Journal of Epidemiology, simply eating foods that contain turmeric (and therefore curcumin) may possibly help boost brain health. However, a study in Nutrition and Cancer concludes “curcumin content of turmeric and curry powders is highly variable. Pure turmeric powder has the highest curcumin concentration but other curry powders may have relatively small amounts of curcumin.” Turmeric is commonly found in curry and mustard, but having some turmeric powder on hand in the kitchen allows one to experiment with different ways to add curcumin to common foods and drinks. For instance, adding ¼ teaspoon of ground turmeric to a cup of hot water is an easy way to make curcumin-containing tea. Adding a dash of turmeric powder in soup, salad, and on top of roasted vegetables are also popular ways to increase curcumin consumption. However, turmeric typically only contains a small amount of curcumin. Those seeking a significant, therapeutic dose of curcumin may find it difficult to do so by simply adding small amounts of turmeric powder to food and may need to turn to supplements to boost their curcumin intake. There are other natural solutions that can slow cognitive decline that are certainly worth trying. It may be beneficial to change your diet, as food allergies (such as a gluten allergy) or high intake of refined carbohydrates can contribute to memory or attention issues over time. Getting enough sleep at night is also an underrated component of good brain health – if you’re not sleeping enough, the brain can’t function at its best. Read my article Which Natural Sleep Aid is Right For You? to learn more about natural sleep aids that may help you get the rest you’re looking for. In addition to being fun, cognitively-stimulating games like solving crossword puzzles and playing cards may also help keep the mind in good shape. For some people, stress may be a contributing factor to memory and attention issues, so taking part in relaxation activities like meditation and yoga can also play a key role. Which supplements do you recommend? There are many curcumin supplements out there, but Curcumin Extract by Vital Nutrients is a great place to start because it contains high quality curcumin extract and pairs it with a black pepper extract (known as BioPerine®) that increases the curcumin absorption rate in the body. For those seeking a more powerful dose, Integrative Therapeutics’ Theracurcumin HP claims to contain the first water-dispersible curcumin form, which means it has approximately 27 times the bioavailability of regular curcumin extracts. This is the same form of curcumin used in the the American Journal of Geriatric Psychiatry study. There are also products that pair curcumin with other ingredients believed to promote mental sharpness. One example is CurcumaSorb Mind, by Pure Encapsulations, which combines curcumin with green tea, grape, wild blueberry, and monterey pine extracts. 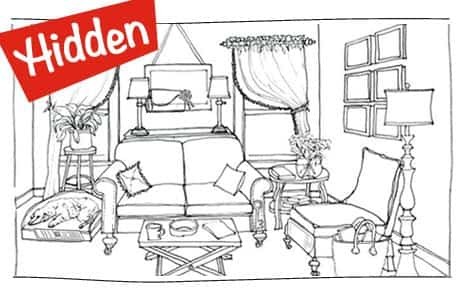 Just because your body and mind are getting older doesn’t mean life has to be as frustrating as finding items in a hidden pictures game. If you have any questions regarding the concepts discussed here or anything else, you can reach our customer service team at: customerservice@oakwaynaturals.com or you can call them at 888-460-3091. Research shows that standard curcumin is poorly absorbed even at high doses. Theracurmin is the first water-dispersible curcumin  dissolving quickly and maintaining solubility over time; resulting in a product that is 27x more bioavailable than standard curcumin extracts. Theracurmin HP is a triple-strength formula, containing the same amount of curcuminoids as original Theracurmin, but in smaller capsules, and at just 2 capsules per day  allowing for more flexibility in dosing. Have you ever found yourself forgetting to take care of simple tasks, the name of somebody you haven’t seen in a few months, or do you just feel you are not able to focus on multiple things at once like you used to? Are you losing your keys? Remote? Purse? Cell phone? These symptoms make people feel frustrated — just like not finding items in the “find the hidden objects” games in the popular Highlights™ magazine when we were kids. One of the most common reasons suggested is damage to the cellular structure through a process called oxidation. This process can create a toxic effect to the cell by damaging the cellular wall and altering the cell’s DNA structure. Another suspected cause of cognitive decline is chronic inflammation in the brain. Some researchers believe that as the brain gets older, it begins to lose its ability to maintain a healthy balance between anti- and pro-inflammatory proteins. This can lead to the degradation of key brain cells in areas that affect memory, attention, and perception. Researchers also believe the formation of plaques plays a role in memory loss. There is still much to learn, but the early research shows its potential to reduce oxidation and cellular inflammation within the brain. A study published in the American Journal of Geriatric Psychiatry, took 40 non-demented adults and gave half curcumin and the other half a placebo. Those who received the curcumin noted significant improvements in their memory and attention. The researchers of a study from the Journal of Neuropathology & Experimental Neurology observed that increased oxidative damage is an early event in Alzheimer’s disease. However, it is still controversial whether oxidative stress plays an early role in the disease, or alternatively, is secondary after getting the disease. If oxidative damage is indeed a contributor, it would be imperative for people who are starting to notice mild cognitive decline to begin taking substances that are believed to be anti-oxidants and are anti-inflammatory — like curcumin. Drugs to treat memory and attention problems, which are often intended to treat disorders like Alzheimer’s disease, can work for some people with more severe cases of cognitive decline. But these drugs only help to lessen the symptoms and are unable to stop or cure the progression of cognitive decline. They also come with some highly unpleasant side effects like diarrhea, vomiting, fatigue, insomnia, and loss of appetite. As suggested by a study from American Journal of Epidemiology, simply eating foods that contain turmeric (and therefore curcumin) may possibly help boost brain health. But other studies say curcumin levels can vary greatly within turmeric powder, so many people will need supplementation to reach a sufficient, therapeutic dose. Adding ¼ teaspoon of ground turmeric to a cup of hot water is an easy way to make curcumin-containing tea. Adding a dash of turmeric powder in soup, salad, and on top of roasted vegetables is another popular way to increase curcumin consumption. It may be beneficial to change your diet, as food allergies (such as a gluten allergy) or high intake of refined carbohydrates can contribute to memory or attention issues over time. Getting enough sleep at night is also an underrated component of good brain health – if you’re not sleeping enough, the brain can’t function at its best. There are many curcumin supplements out there, but Curcumin Extract by Vital Nutrients is a great option for most because it contains high quality curcumin extract and pairs it with a black pepper extract (known as BioPerine®) that increase the curcumin absorption rate in the body. 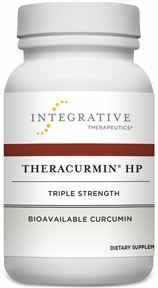 For those seeking an more powerful dose, Integrative Therapeutics’ Theracurcumin HP claims to contain the first water-dispersible curcumin form, which means it has approximately 27 times the bioavailability of regular curcumin extracts.